Your body naturally creates enzymes that provide a wide range of health benefits. As you get older, this production of enzymes begins to slow, which may have an effect on your overall health. 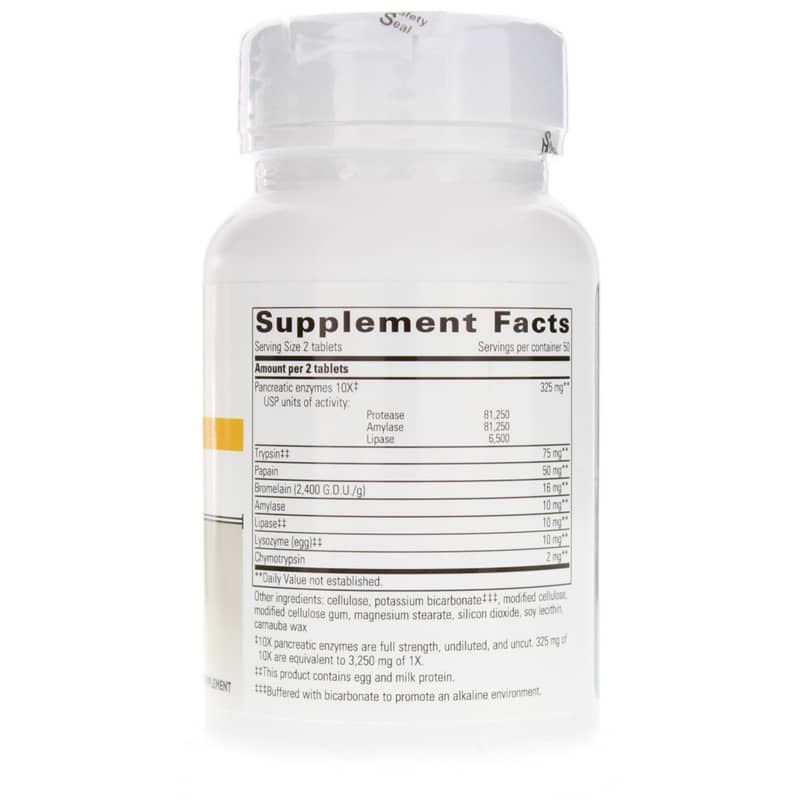 Supplementing can make a big difference in your health. 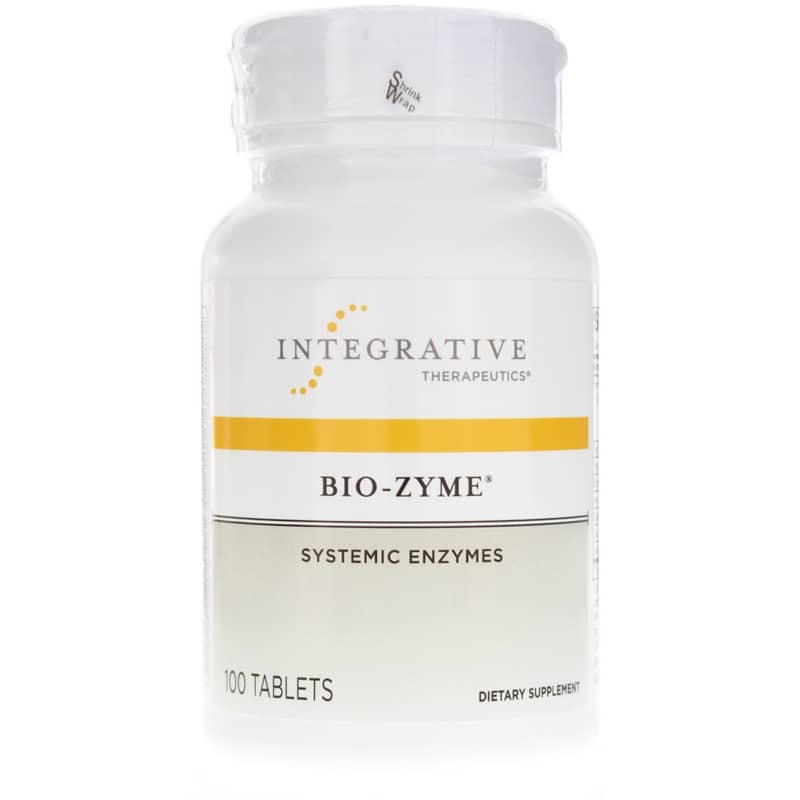 Bio-Zyme Systemic Enzymes from Integrative Therapeutics delivers a healthy dose of a high-potency pancreatic enzymes complex to support optimal digestion and improved overall health. The enzymes in Bio-Zyme Systemic Enzymes also promotes healthy, clear skin and work to relieve muscle soreness, fatigue, and stiffness that's related to intense exercise. Enhance your body's natural enzymes production. Start using Bio-Zyme Systemic Enzymes from Integrative Therapeutics today and support optimal digestion, clearer skin, and a better response to the impact of exercise and overuse of muscles. Other Ingredients: cellulose, potassium bicarbonate***, modified cellulose gum, modified cellulose, magnesium stearate, soy lecithin, and carnauba wax. Contains NO: sugar, salt, yeast, wheat, gluten, corn, artificial coloring, artificial flavoring or preservatives. This product contains natural ingredients; color variations are normal. **10X pancreatic enzymes are full strength, undiluted, and uncut. 325mg of 10X are equivalent to 3,250mg of 1X. ***Bicarbonates are key factors in triggering the release of pancreatic enzyme ingredients. Adults: Take two tablets before each meal. 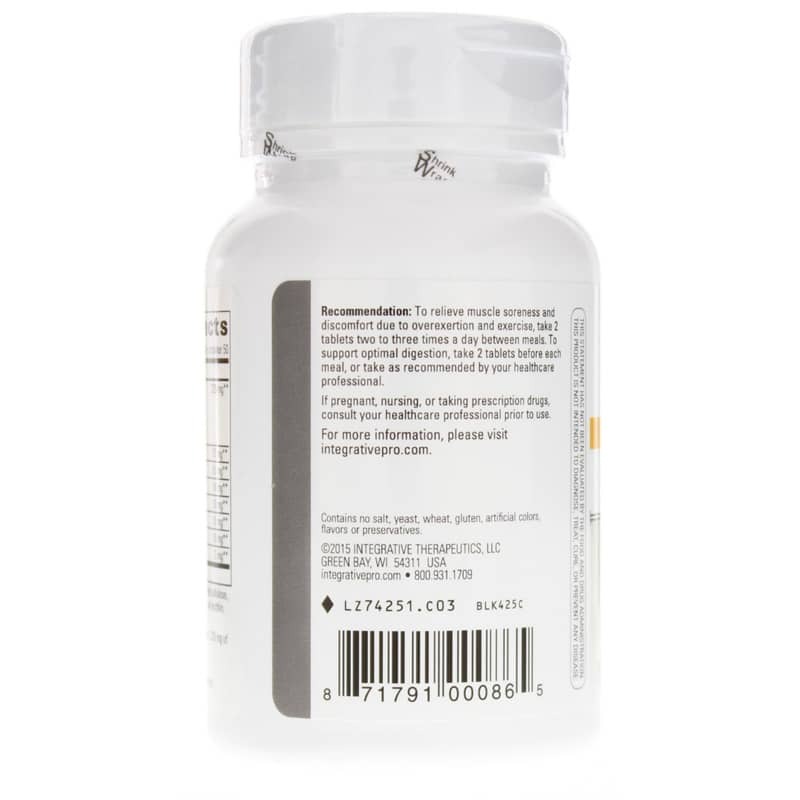 Do not exceed 12 tablets daily unless under the direction of a licensed healthcare practitioner. our homeopathic physician recommended BioZyme proteolytic enzymes. Very satisfied that the BioZymes are adequate for their recommended purposes. This supplement was recommended for me by my alternative doctor. This has helped me digest my food better and have less irritation.